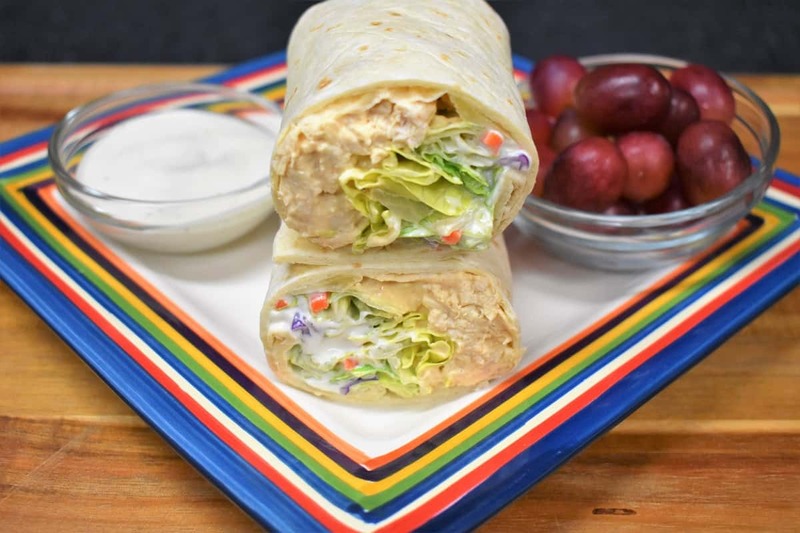 This buffalo chicken wrap is a delicious and really easy recipe to put together for lunch. 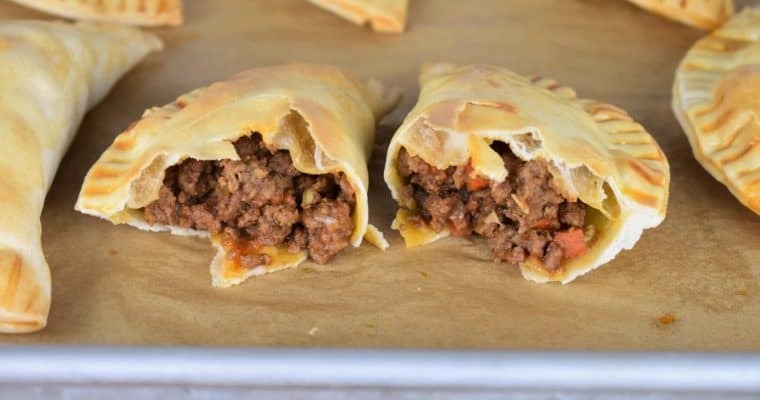 It’s a great option for a quick dinner and they’re perfect for your game-day spread too. 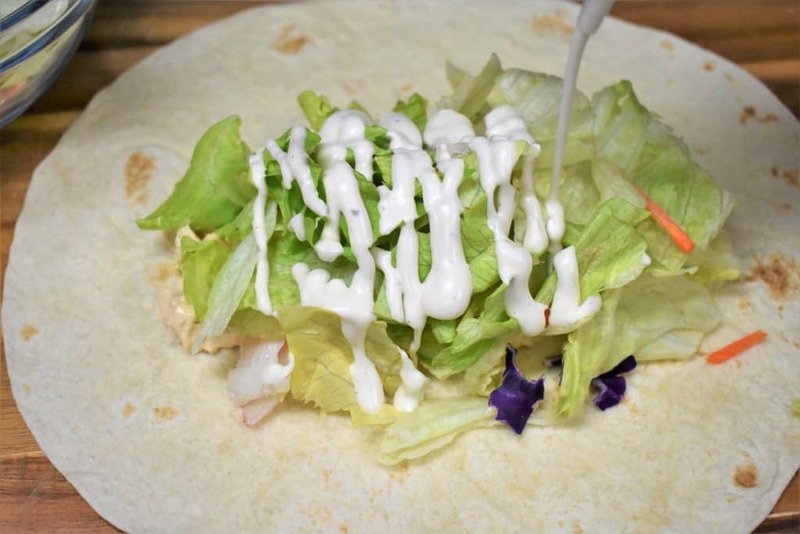 For these wraps we use large flour tortillas and stuff them with diced poached chicken breast, cream cheese, sour cream and plenty of hot sauce. Then we add a generous amount lettuce and top the whole thing off with ranch dressing. 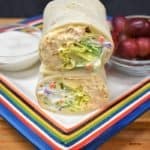 These buffalo chicken wraps keep really well in the refrigerator overnight, making packing a lunch in the morning a snap. If you want to try more great lunch ideas, check out this chef salad that’s super kid friendly or this Asian chopped salad that features a homemade sesame dressing. 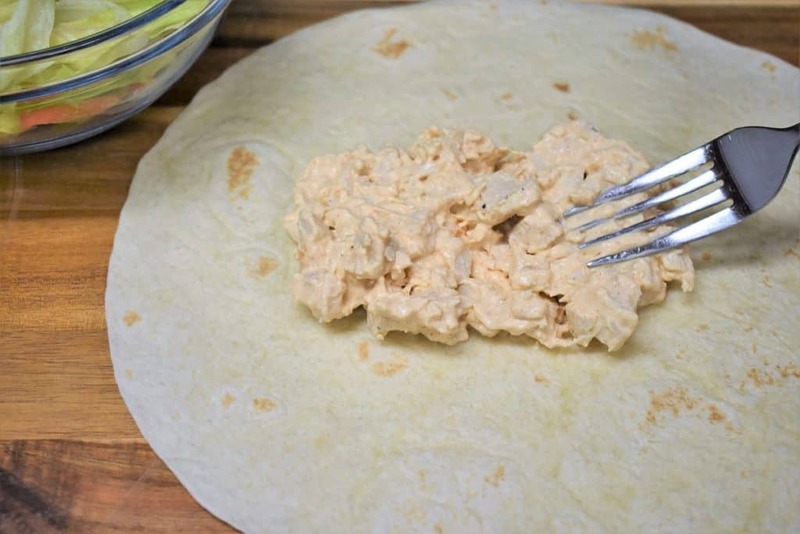 The prep on this buffalo chicken wrap is really easy. Other than poaching the chicken, the rest of the ingredients are already prepped. For the lettuce, we use a bagged mix that includes iceberg and romaine lettuce but also has shredded carrots and red cabbage. 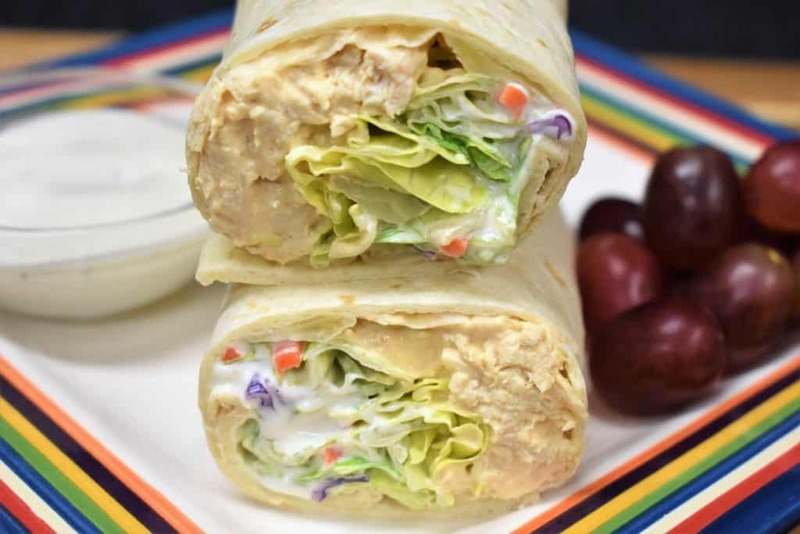 The carrots and cabbage add a great crunch to the buffalo chicken wraps. Poaching chicken is one of those cooking techniques that’s really convenient, especially for lunch and dinner prep. Poached chicken doesn’t have a lot of flavor. Making it a great base to build a dish and add flavors that can shine through. The poached chicken’s flavor will come from the cooling liquid and any spices added. You could use fresh thyme sprigs, black peppercorns, bay leaf or rosemary; all depending on the dish you’re preparing. 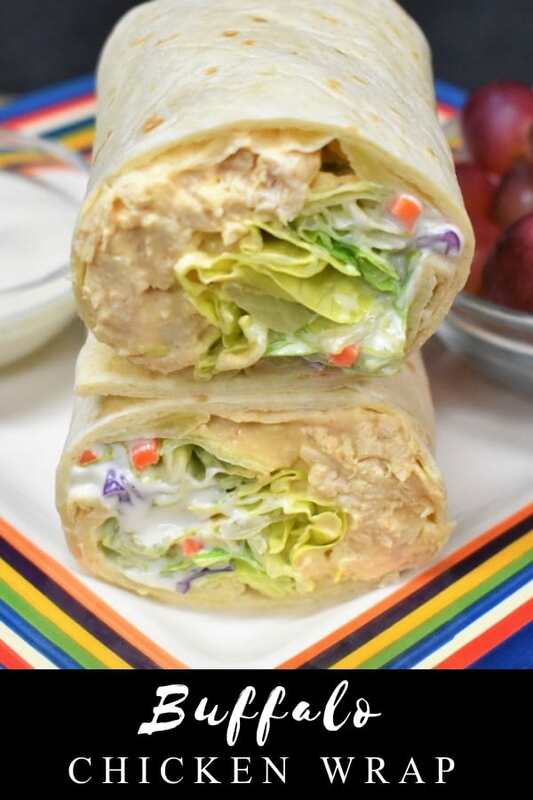 For these buffalo chicken wraps, we just add a pinch of salt, since the hot sauce will flavor it plenty. We use poached chicken in chicken salads, dips and quick soup recipes. My son, he just likes it plain; he calls it boiled chicken. When I’m poaching chicken for a recipe, I always make a little extra because I know some will disappear! Trim away any fat from the chicken breast. Place it in a medium saucepan and cover with the chicken broth. Start the chicken on high heat and bring the broth to a boil. When the liquid starts to boil, lower the heat to medium-low and cover. Simmer gently for 20-25 minutes, depending on the thickness of the chicken. Turn the chicken breast halfway through the cooking time. Make sure the internal temperature is at least 165°F at its thickest part. Remove the chicken breast from the poaching liquid and let it cool. When the chicken is cool enough to handle dice it into small cubes. Add the cream cheese, sour cream, hot sauce, onion powder and black pepper to the diced chicken. Stir well until all the ingredients are combined and creamy. Refrigerate the buffalo chicken for at least 1 hour to let the cream cheese and sour cream firm up. Lay out a flour tortilla wrap and add a scoop of Buffalo chicken. Spread it out so it’s not mounded in the middle. Add about 1 cup of lettuce. 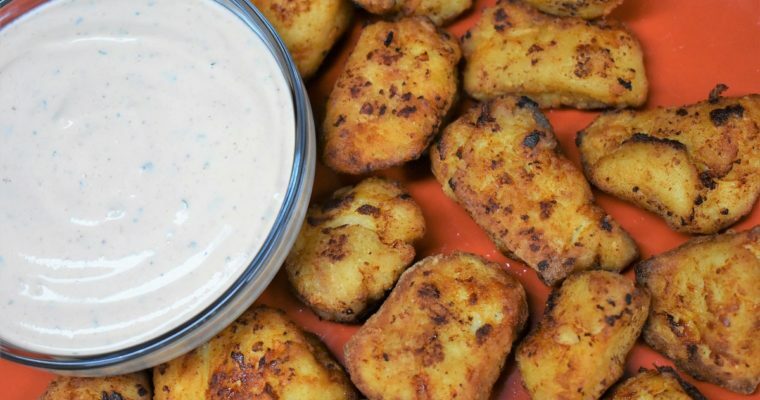 Drizzle with approximately 1 tablespoon of ranch dressing, or to taste. Fold in the ends (to your left and right). 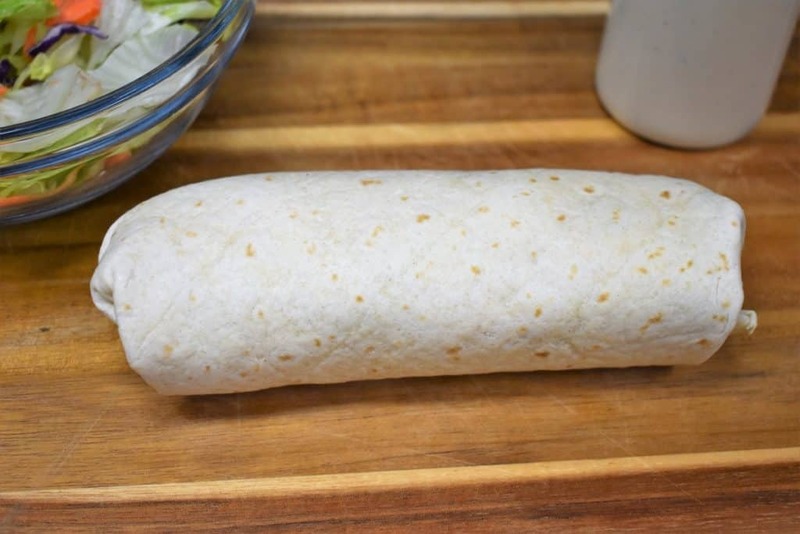 Fold over the end closest to you and roll the wrap away from you, tucking in the ingredients with your fingers as you go. Place the Buffalo chicken wrap seam side down and cut it in half if desired. Serve with extra ranch dressing for dipping. Enjoy! Turn the chicken breast halfway through the cooking time. Make sure the internal temperature is at least 165°F at its thickest part. Place the Buffalo chicken wrap seam side down and cut it in half if desired. Serve with extra ranch dressing for dipping.